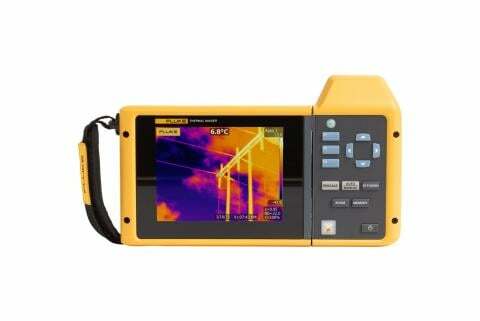 Infrared cameras, also called thermal imagers, are useful for troubleshooting motor problems as well as for monitoring motor condition for preventative maintenance in power generation, manufacturing and commercial plants. 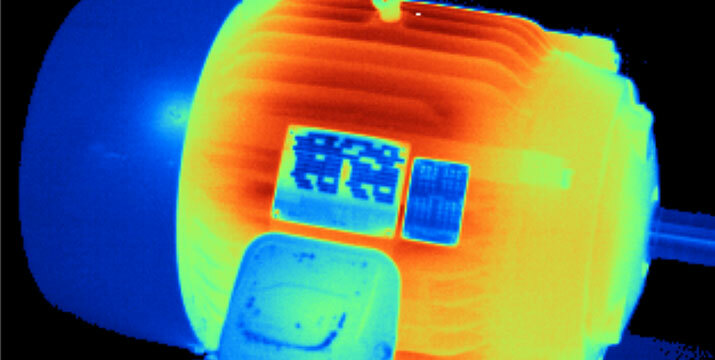 Infrared images reveal a motor’s heat signature and that can tell you a lot about its condition. Indeed the condition of motors can play an important role in keeping plants up and running and keeping operating costs down. To get started in building heat profiles of your motors, it is a best practice to capture good quality infrared images when the motors are running under normal operating conditions. 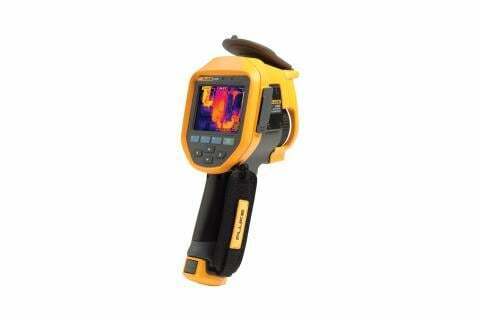 That gives you baseline measurements of the temperature of components. 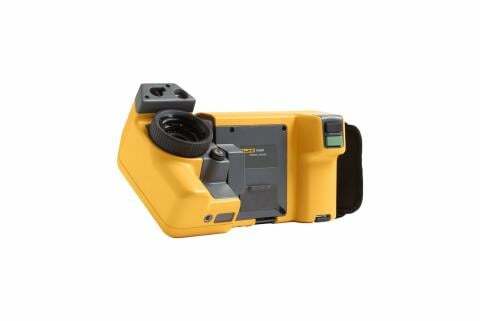 An infrared camera can capture temperatures of all the critical components: motor, shaft coupling, motor and shaft bearings, and the gearbox. When you are working with low electrical loads, the indications of a problem may be subtle. Thus a minimum of 40 % of design load is recommended (National Fire Protection Association NFPA 70B), and the higher the load, the better. When inspecting in low load situations, be sure to note all possible problems, even if they reflect only a small temperature difference. As a load increases, the temperature will increase too and if a problem exists, expect greater temperature differences at higher loads. All motors should list the normal operating temperature on the nameplate. An infrared camera cannot see the inside of the motor, but the exterior surface temperature is an indicator of the internal temperature. As the motor gets hotter inside, it also gets hotter outside. If a motor is overheating, the windings will rapidly deteriorate. In fact, every increase of 10 °C on a motor’s windings above its designed operating temperature cuts the life of its windings’ insulation by 50 percent, even if the overheating is only temporary. If a temperature reading in the middle of a motor housing comes up abnormally high, an IR image of the motor can tell you where the high temperature is coming from, i.e. windings, bearings or coupling. If a coupling is running warm it is an indicator of misalignment. High-resistance contact surface, either a connection or a switch contact and usually appears warmest at the spot of high-resistance, cooling off the further away from the spot. Load imbalances, whether normal or out of specification, appear equally warm throughout the phase or part of the circuit that is undersized/overloaded. Harmonic imbalances create a similar pattern. If the entire conductor is warm, it could be undersized or overloaded; check the rating and the actual load to determine the cause. Failed components typically look cooler than normally functioning ones. The most common example is probably a blown fuse. In a motor circuit, this can result in a single phase condition and the possibility of costly damage to the motor. Creating regular inspection routes that include thermal images of all critical motor/ drive combinations and tracking to those baseline images will help you determine whether a hotspot is unusual or not, and help you verify if the repairs were successful.